This is what happens when you delude yourself into thinking things are fine. RIM needs an outsider, not an insider, to fix things. Megaupload is one of top 100 most-visited websites on the web for years, mostly because it was an easy and relatively “safe” way to download and transfer pirated content. Yes, people hosted legal stuff there, but the vast majority of it was pirated. On December 9, a bizarre video was released with A-listers seemingly endorsing Megaupload. P Diddy, Will.i.am, Alicia Keys, Snoop Dogg, Kanye West were among the stars featured. Universal and the RIAA were NOT happy with this, so they asked YouTube to take it down due to copyright infringement,. They succeeded, though Megaupload continued to host the video (YouTube eventually brought it back as well). Megaupload essentially gave the music industry the middle finger. Everything exploded yesterday, though. The FBI led a coordinated strike against Megaupload that involved 20 search warrants in eight countries. The result was the shutdown of Megaupload.com and the seizure of more than $50 million in assets. Megaupload’s staff was also arrested and denied bail in New Zealand. This includes founder and majority owner Kim Schmitz — aka Kim Dotcom. Yes, that’s what he goes by. Here are some pictures of the New Zealand government confiscating the Megaupload team’s very fancy cars. Oh, and it was revealed that Swizz Beatz is the company’s acting CEO. Yes, the guy who’s married to Alicia Keys. This was likely an attempt by Kim Dotcom to reduce the heat on himself. GigaOm has a fantastic summary of the indictment itself, if you want to learn more. There was an important part of the Internet that didn’t like how this raid went down though: Anonymous. The shadowy hacker group launched its largest attack ever merely minutes after the raids became public. They attacked “the White House, the FBI, the Department of Justice, multiple record label sites, the MPAA, and RIAA, and the U.S. Copyright Office” all at once. Anonymous considered the destruction of Megaupload an act of war, and they responded with an all-out counterstrike. For the first time in years, I will not be attending CES. It’s a strange yet relaxing feeling not being part of the massive crowds that converge each January on Sin City. Scott Thompson, the President of eBay’s PayPal division, has just been named the new CEO of Yahoo. If you want to build a multi-billion dollar business, you can’t just build a product: you need to build a platform. 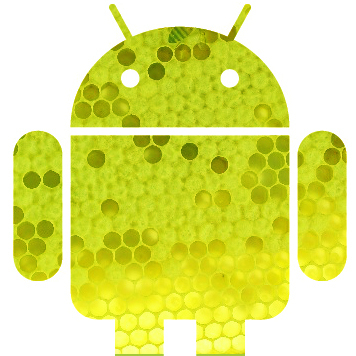 Slashgear estimates that, out of approximately 190 million Android devices, just 3.4 million of them run Honeycomb, the tablet version of Android.